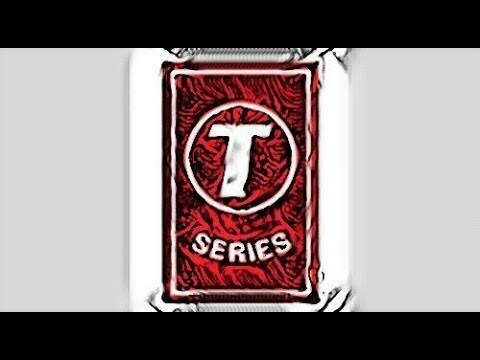 T Series Has Fake Subs Read Discription....! 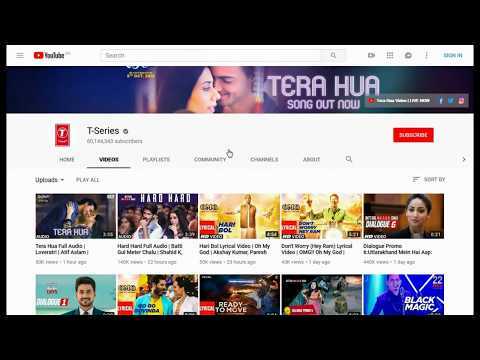 This is my video about theis T-Series channel these guys need to be stopped because its extremely shady that this comes out of the blue like this and its proof that these are not real subscribers they are bots. 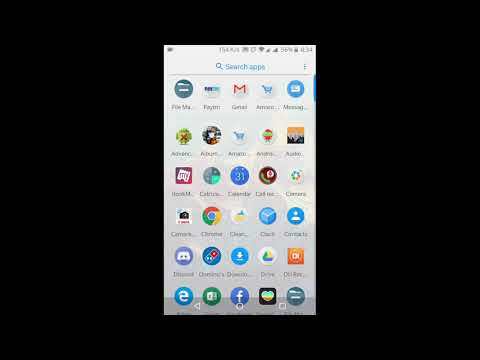 A guy i know on discord confirmed this for me that they add multiple people from this and once ppl realize this (by getting Bell notifications maybe) they unsubscribe.. Watch this to see the hundreds of people added on their channel then mysteriously drop within thousands at a time! 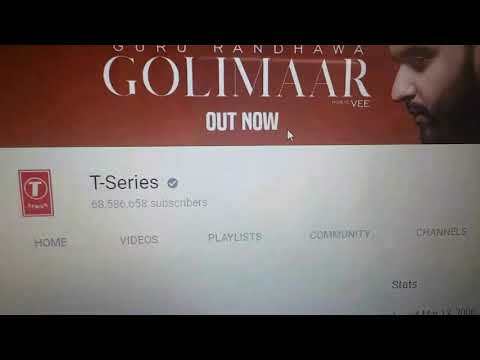 Someone share this and Report them to Youtube so they can be stopped. This just isnt right for real content creators that just want to do something cool because it interests them.. They are just spamming content and movies to get views. (And they arent even real). I Have to Disable Comments Becuase of People Hate. They Were Abusing Pakistani Community. 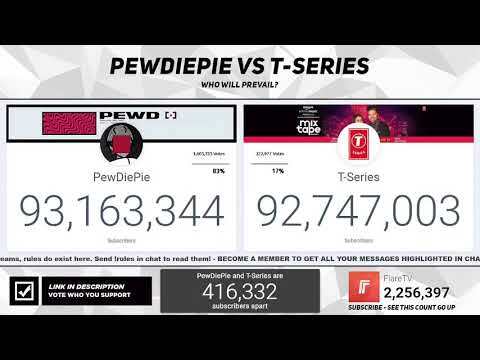 ►PEWDIEPIE VS T-SERIES Recently, T-Series LOST 200,000 Subscribers due to YouTube New Policies of Decreasing Spam Subscribers. 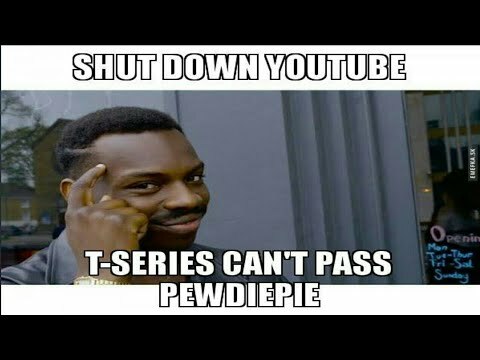 But, The Now all the Subscribers of T-Series are Real. 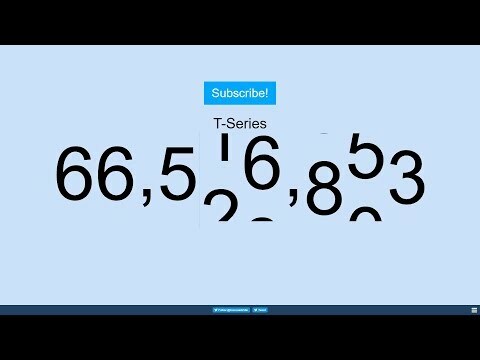 T-Series does'nt use Sub Bots for Fake Subscribers. 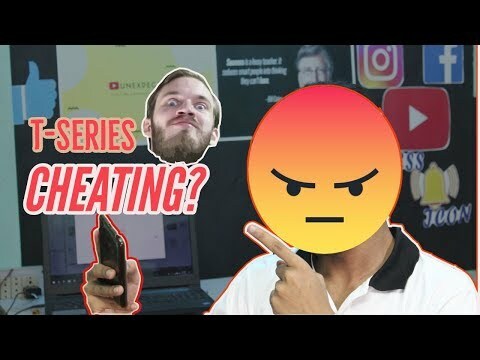 ►SHARE THIS VIDEO https://youtu.be/WheVDDR2swE ►CREDITS T-Series: https://www.youtube.com/user/tseries PewDiePie: https://www.youtube.com/user/PewDiePie ►FOLLOW ME Facebook: https://facebook.com/dawoodbinjaved2 Instagram: https://instagram.com/dawood.javed Twitter: https://twitter.com/dawoodbinjaved Subscribe: http://youtube.com/coreitechofficial?sub_confirmation=1 ►FOLLOW CoreiTech Facebook: https://facebook.com/coreitechofficial ►PUBG MOBILE - DEATH - GAMEPLAY https://youtu.be/Mt-PCz0WrnE ►MY 2ND CHANNEL Dawoodbinjaved: https://www.youtube.com/DawoodJaved ►MUSIC BY THBD - Good For You https://goo.gl/mXtJm6 ►ENDING MUSIC Cartoon - On & On https://goo.gl/Ze9194 ►FOLLOW ARTISTS THBD Music: thbdmusic@gmail.com https://www.facebook.com/thbds https://goo.gl/mTn8ut Cartoon: SoundCloud: https://soundcloud.com/cartoonbaboon Facebook: https://www.facebook.com/cartoondband Daniel Levi (vocalist) Facebook: http://facebook.com/daniellevimusic Website: http://daniellevi.eu/ ►ARTWORK BY https://instagram.com/dawood.javed ►You Can Also Send Me Products For Review ►Contact Me For Promotion or Sponsorship ►CLICK HERE #CoreiTech #Tseries #Reality ►IMPORTANT: If any artist or label has copyright issues with my videos (including artists of the images used), please send an e-mail to: coreitechofficial@gmail.com and I will remove it within 48 hours! 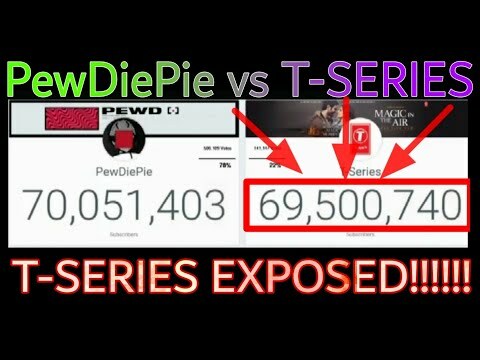 ▶Koi Ni Bhai Phir Se Subscribe Now ▶https://www.youtube.com/channel/UC5wlgXtX1h49frIIaLPTFog PewDiePie: Endgame (19 April ) | Avengers: Endgame (26 April ) | PEWDIEPIE VS T-SERIES | KOI NI BHAI #PewDiePieEndgame #AvengersEndgame #indiantopyoutubers #koinibhai #knb ➤ Koi Ni Bhai's Social Media Links: Youtube ➤ https://www.youtube.com/KoiNiBhai Facebook ➤ https://m.facebook.com/koinibhai/ Instagram ➤ https://www.instagram.com/KoiNiBhai/ Twitter ➤ https://mobile.twitter.com/KoiNiBhai ➤Music provided by NoCopyrightSounds (NCS) Alan Walker - Fade [NCS Release] - https://www.youtube.com/watch?v=bM7SZ5SBzyY NCS ● https://youtube.com/user/NoCopyrightS... ● http://soundcloud.com/NoCopyrightSounds ● http://instagram.com/NoCopyrightSounds ● http://facebook.com/NoCopyrightSounds ● http://twitter.com/NCSounds Email- vinod9564@gmail.com © If you're the copyright owner and have an issue with any of the uploads, please contact us (email above) and we will delete it immediately, or offer you a reimbursement. This also includes the artists of the images used. Thank you and have a nice day. Disclaimer- Some contents are used for educational purpose under fair use. Copyright Disclaimer Under Section 107 of the Copyright Act 1976, allowance is made for "fair use" for purposes such as criticism, comment, news reporting, teaching, scholarship, and research. Fair use is a use permitted by copyright statute that might otherwise be infringing. Non-profit, educational or personal use tips the balance in favor of fair use. All credit for copyright materiel used in video goes to respected owner. 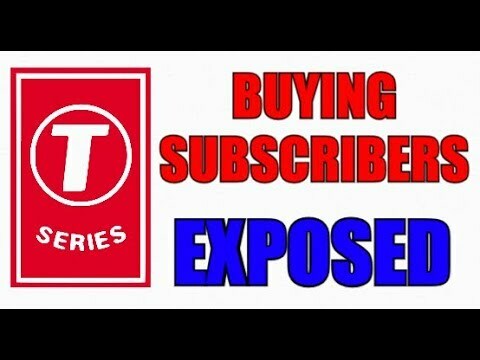 In this video I show how T-series is a fraud and why. Hope you enjoyed my video if you did like and subscribe!!! All rights reserved to JYP ent. - Hope you enjoy. 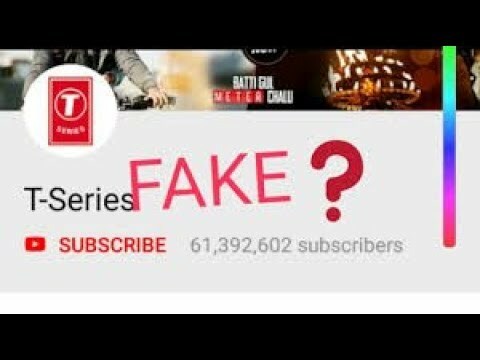 Reality Exposed | T-series VS Pewdiepie | Who Is Using Sub Bots? 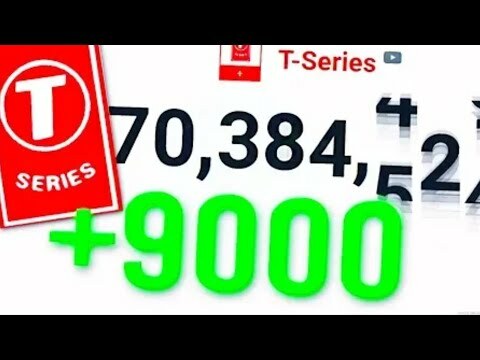 Hey friends, "Reality Exposed | T-series VS Pewdiepie | Who Is Using Sub Bots?" So for this please follow step by step till to end. 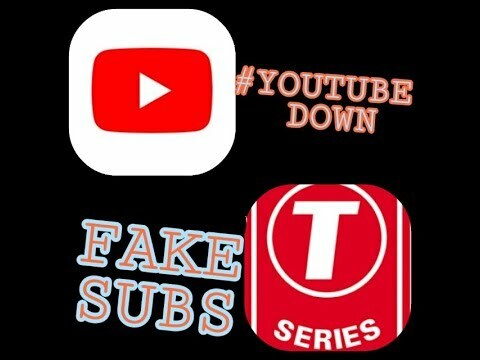 ☆ Are You New So Subscribe here ➡ https://bit.ly/2Jd4X4o Thanks for supporting... Like,Share,Support & Subscribe**** ☆ Subscribe ➡ https://bit.ly/2Jd4X4o ☆ YouTube Channel ➡ https://m.youtube.com/channel/UCgFuvpA4H4n3kiXuFjsd2OQ ☆ TWITTER ➡ https://www.twitter.com/TechnoAlex11 ☆ FACEBOOK ➡ https://www.facebook.com/technoalex11/ ☆ INSTAGRAM ➡ https://www.instagram.com/technoalex11/ ☆ REDDIT ➡ https://www.reddit.com/user/technoalex . . Tseriesvspewdiepie . . ABOUT : Techno Alex is a YouTube channel where you can learn any tech related things like, gadget reviews, tech hacks, app development, blogging etc. Channel Title : UltraBlitz-Roblox And More! I DO NOT OWN ANYTHING OTHER THAN THE SUBTITLES! 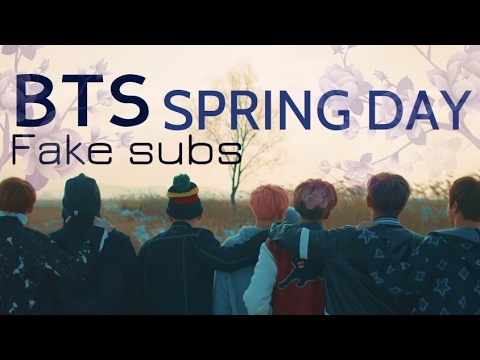 This video contains explicit subtitles. Please do not view the following if you cannot tolerate this sort of thing. Welcome back! If you have seen my Twice - Likey video, then you'll definitely love this one. It follows a proper storyline and I prepared it ahead of creating the actual fake subtitles. I know, disappointing. I tried my very best on this video and may do even better soon. If you haven't checked out my Twice - Likey video, then you may see this first then clicking the link at the end to view the Likey M/V - Fake Subs. Thanks! I do not own the Music Video, it is copyrighted by JYP Entertainment. 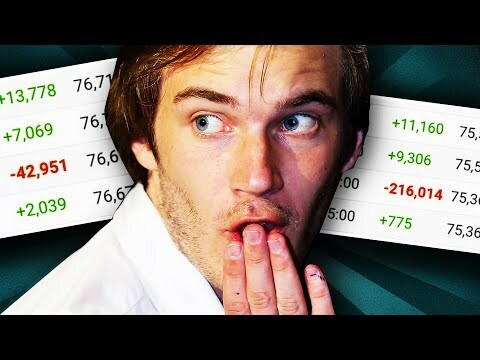 HOW TO TELL IF A YouTuber is Buying FAKE SUBS FROM 50 SUBS TO 40.000 SUBS In 5 MONTHS!!! 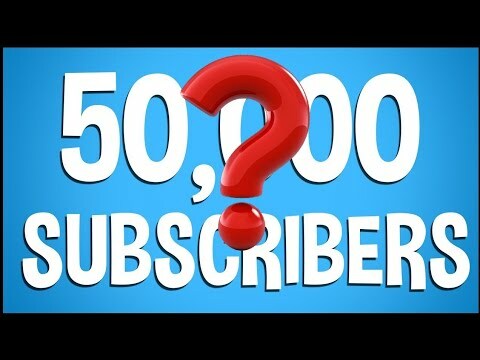 NO WAY "Comen nobody" Want from 50 subs to 42.000 subs in 5 months with only 21 videos, the first posted 6 months ago. I'm sorry but no way at all, there has to be something SHILLY going on there. On a side note quick apology I read the comment from "vintage appeal" incorrect, he said his goal is to get 100 subs and was not saying he had them already.